Finding the best credit card betting sites in Australia is difficult indeed, mainly because all of them accept credit card deposits! Then again, this is a global issue in the world of online punters, and we’re going to solve it! Aussiebet is powered by avid sports betting enthusiasts with many years of experience. Due to the high number of online credit card betting sites, finding the best bookmakers in Australia is that much more difficult. Those of you who are well familiar with the terms of using credit cards at Australia’s best bookmakers can jump straight to the top 9 betting sites for Australian punters! All others should at the very least skim through the information we provide below Australia’s finest! This list shows you the top credit card betting sites in Australia based on the odds quality, the customer service, the bonus offers, but the main prerequisite which puts them here is that they do accept credit card deposits. There’s also another type of card that will make your betting experience more enjoyable. We like to call them proprietary bookmaker cards. Although they’re attractive withdrawal solutions, depositing is not as easy as it might appear. We’re going to show you how they work and what they can do for you through examples, using the Bet365 VISA Card, the William Hill EachWay Card and the Ladbrokes Australia member card. As a customer retention measure, and a feature which should allow punters to withdraw easily, bookmakers have established a safe withdrawal channel. Initially, it will require some extra effort to set up the card, but it’s definitely worth it. In total, it will take between 7 and 10 days to receive the card via post. From this moment on, you can withdraw instantly! However, you can do so only at the betting site that provided the card. Note, this card is not issued by the bookmaker. The company which actually issues most of the cards is called Cuscal Limited. Bookmakers simply promote and distribute them amongst their customers, because it really is a convenient payment solution, perfect for punters that like to avoid withdrawal fees. Can you deposit with the said cards? Yes, all of them, and the process can be rather inconvenient. Below, we’re going to take a look at three very similar, yet in detail different bookmaker cards. Note, these are NOT credit cards. In fact, they’re prepaid debit cards. One of the most well-known names in the field is of course bet365. Its cooperation with Cuscal brought forward the Bet365 VISA Card, which enables punters to deposit and withdraw in a matter of seconds. 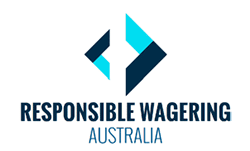 It gives punters total control over their Bet365 wagering account. Before we touch upon this Bet365 exclusive card, if you intend to join any of the credit card betting sites we recommend, you should know that there's a very good reason why it's at the top! However, there’s something you should know about cards of this nature. While we’re at it, we’ll take the Bet365 VISA card as an example. To illustrate, the Bet365 VISA card is a withdrawal option, but you can’t withdraw the full balance. If, say, you deposit $100 to your Bet365 account with your credit card, and you place a bet of $10. You win $40, which sets your balance at $130. Bet365 VISA card owners can withdraw only $40. If the punter wants to withdraw the remainder, a different payment solution must be selected. It’s highly unlikely this will happen to you. This is why proprietary bookmaker cards are such a great customer retention trick. For what it’s worth, the VISA card by Bet365 still gives you the option to withdraw your winnings instantly. To reiterate, you can withdraw winnings only. Bookmaker member cards cannot be used for online purchases and/or over the phone. However, depending on the merchant, you can use them at local shops. Again, it all depends on the merchant’s preferences. This kind of transactions are called Point of Sale or POS for short. The William Hill Card, which is provided by EFTPOS perfectly fits this description. In order to fund your William Hill Card you will have to use the funding service of EachWay. It’s a process that appears counterintuitive, which is why we’re going to go through it and cover each step. For what it's worth, we can't imagine any top list without William HIll, let alone one that shows the best credit card betting sites. How to Fund a BetStar Card and/or Similar Betting Site Cards? There a few steps, and you cannot skip any of them. In practice, it’s a simple procedure, but in theory, it may be hard to grasp. For what it’s worth, you will need a BetStar account, and you need to physically have your William Hill Card. In other words, apply for the card immediately if you don’t already have one. Here’s what you need to do to fund your BetStar Card which has the EFTPOS logo. Now, You Can Place Real Money Bets! Even once the deposit is completed, you will not be able to use this money to make any payments. To do this, you will have bet at BetStar. Any winnings will be available for making payments. You will be able to use this money at any local store, but not online. If you want that privilege, you can scroll down to learn more about credit cards at bookmakers, or go back to the top credit card betting sites. Taking this into consideration, the BetStar Card is perfect for punters that frequent local shops, for whatever reason. Note, you can make your deposit with standard credit cards at William Hill, and use the winnings to fund your William Hill Card. It sounds complex, it appears confusing, but it works! In a way, it will give you a clear idea how much money your betting has brought you. Much similar to the Bet365 VISA Card and William Hill’s EachWay Car, there’s the Ladbrokes VISA or Member Card. It adds flexibility and definitely enhances the betting experience. There’s no punter that will say no to instant withdrawals. We pretty much covered all important aspects of using one of these member cards, aside from the fees and the limits which apply to cards such as the Ladbrokes VISA Card. Punters can withdraw a maximum of $1,000 at ATMs on a daily basis. However, they can spend as much as $5,000 in shops, buying goods and services. Unlike the William Hill EachWay card, which comes with a minimum funding threshold of $50, VISA member cards come with a minimum threshold of $5.00 only. Also, punters can have a maximum of $5,000 at any point in time on their balance, which discourages high rollers and passionate punters from opting for this instant withdrawal solution. This applies to all bookmakers cards issued by Cuscal. The majority of the credit card betting sites do offer this type of card as withdrawal option. Lastly, Ladbrokes and other Aussie bookmakers do not charge any transaction fees. The only fees which you have to cover are the card replacement fee of $5.00, and the POS purchases which are subject to a $0.50 fee per transaction. We recommend to avoid using your Ladbrokes VISA cards abroad, just because there’s an overwhelming 3% fee on top of the aforementioned transaction fee. Depositing with your credit card, MasterCard or VISA, guarantees you’ll be able to place your bets immediately after you press the DEPOSIT button. Although not favored, credit cards are the entry type of deposit method amongst punters, solely because everybody has one. There are plenty of payment option alternatives, including e-wallets, direct online banking and prepaid cards. Nevertheless, credit cards are the universal payment option still sought by many. However, this is only the tip of the iceberg. In other words, there are a few other important facts you should know about if you intend to propel yourself into the world of online sports betting with your credit card as the main funding method. It’s absolutely reasonable to expect certain disadvantages, regardless of the payment method at hand. Whether it’s a credit card, or an alternative payment method from the e-wallet or direct online banking families, there are cons which have to be duly considered. When you join any of the credit card betting sites we recommend, there are few disadvantages that will come in your way. Although, they do not have a conclusive effect on the punter’s experience. Nothing to fret about, because you’ve been dealing with these all the long. However, it’s highly likely that you’ve never viewed credit cards this way. In order to give you a clear picture, we’re going to touch upon all of these in greater detail. Credit cards are infamous among punters because the associated fees are considerable indeed. In the long run, these fees can have notable effects on your margins. These fees are so big because the payment provider, VISA or MasterCard, treats the deposit as “Cash Advance”. In a way, it’s a micro loan, which bears interest. What you need to know is that the fee ranges between 1.5% and 2.5%, depending on the bank and the online bookmaker. Now, this fee is charged by the payment provider, not by the bookmaker. It’s why you will be charged a fee, in spite of the betting site explicitly stating they DO NOT charge any fees. Probably one of the key reasons we don't search for credit card betting sites is this precisely, the fees. For what it’s worth, this is why credit cards are recommended as a short-term solution. Most punters eventually do the math and they realize it’s better to switch to a different payment option, such as PayPal or POLi. You might’ve heard of the acronym KYC, which stands for Know Your Customer. It mandates that any player must be able to verify the identity at any point in time. Certain payment methods, such as PayPal, do not call for this check, but the online bookmaker has the liberty to request the set of documents which fall under the said KYC policy. Credit cards are the forefront, being the payment method that’s subject to the most rigorous checks, including but not limited to front and back scan of the credit card itself, a scan of a utility bill, a scan of a bank statement and in some instances, the bookmaker can request these documents to be notarized. This means extra charges, which can be easily avoided. Not to mention that all of these require effort and much of your precious time. These security measures are anything but unnecessary. Credit cards are, after all, the least secure deposit method you can choose as an Australian punter online. Why Do Betting Sites Need a Scan of my Credit Card? It’s very easy to steal someone’s credit card details on the Internet. However, it’s not that easy to steal the card physically, unless you’re keen on pickpocketing. This is the betting sites' method of dealing with online credit card thefts. If you fail to provide a scan of your card, the bookmaker reserves the right to confiscate the winnings and find the rightful owner in a different way. Moreover, we should point out that the card has to have your name on it. Otherwise the bookmaker has any right to deny the deposit, and/or confiscate any winnings. Fortunately, we don't live in the 1990s and credit card betting sites do accept other, alternative payment options. Or in simple terms, not all online bookmakers support credit card withdrawals. This is by all means not a thing to worry about. However, it’s another inconvenience on our list. It’s highly likely that you will have to withdraw your winnings directly to your bank account via a bank transfer. This means, if you’re betting at an international online bookmaker, you will suffer considerable fees. Why online bookmakers don’t support credit card withdrawals? The question is misleading, at least, it can lead to you a premature opinion. It’s not the online bookmaker that’s refusing to do this transaction. Instead, it’s the bank which refuses to process the payment, because it’s coming from a gambling or betting company. Although certain big name bookmakers the likes of Bet365 do include credit cards on their withdrawal options list, VISA credit cards for the most part, we prefer to refrain from pointing to credit card withdrawal bookmakers. As a general rule, Aussie punters that have deposited with credit cards, get their money out via bank transfers, or via member cards, like the ones we mentioned earlier. Then again, they’ve been around for decades! No other payment providers have managed to threaten the survival of good ol’ credit cards. It’s safe to consider them traditional payment options. After all, we live in an era when people have a variety of options at their disposal, different in nature, with different pros and cons, with different capabilities. Here are a few reasons why the term “credit card betting sites” is still important to us. Once again, wherever you see the logo of VISA or MasterCard, you can deposit and fund your betting account with credit cards. No wonder they still have amassed such a customer base. In the local shop, at online bookmakers, at online shops, credit cards are accepted everywhere! In general, VISA comes off as the better option. VISA credit cards are more flexible, versatile as far as online sports betting goes, not limited to Australia only, but on a global scale. In case this was your dilemma, choose VISA because it promises credit card withdrawals, yet again, it’s not guaranteed. Both of them are subject to the same KYC procedure. Moreover, the same fees apply as well. Unless your bank shows a special affinity to its customers, you will pay the price for using credit cards. Wherever you see the VISA logo rest assured your VISA credit and/or debit card are accepted. It’s a safe and secure payment provider that’s available all around the world. This universal deposit method can take you to great lengths, but due to the fees it’s accompanied by, it’s not the most sought after payment method. For what it’s worth, here are the top 3 VISA accepting betting sites in Australia. Basically, displaying a list of this kind comes off as an unproductive since all of these are considered the best betting sites in Australia overall. Nevertheless, for the sake of consistency we decided to provide you with one. Although not as popular as its counterpart, MasterCard is also widely available in the betting and gaming world. 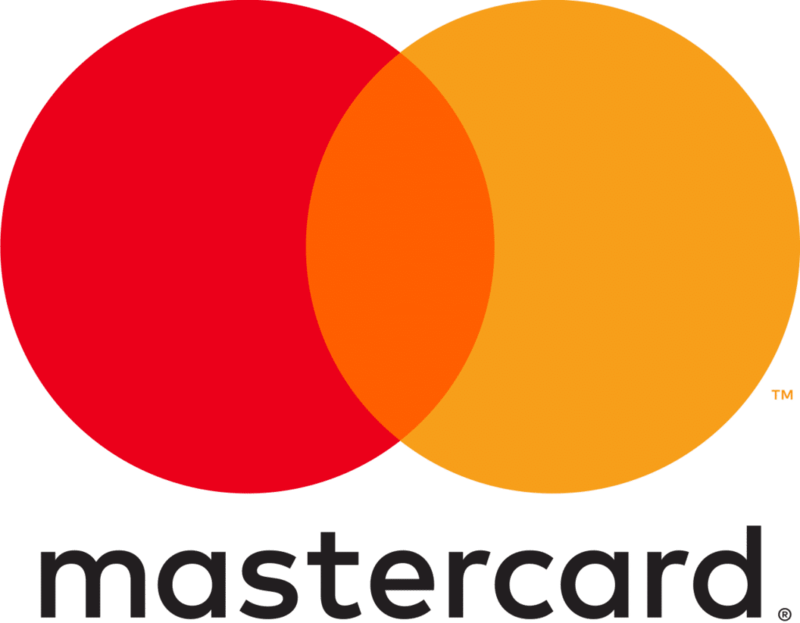 Not to be confused with MasterPass, because that’s a special type of MasterCard. There aren’t any major differences between VISA and MasterCard credit cards, at least not in Australian betting sites. However, in our experience, we’ve seen how they are treated differently in other regions of the world. Take for example, Europe. Some betting and gaming sites are willing to pay out withdrawals up to amounts equal to the deposit, whereas the remainder is paid out via bank transfer to the same account. Moreover, VISA is, conditionally speaking, favoured by the bookmakers. That is, by the financial institutions. As it currently stands, there are bookmakers in the EU that can pay out withdrawals to VISA cards, but not to MasterCard. This largely depends on the punter’s location. One thing’s for sure. Using credit cards to deposit at online betting sites in Australia guarantees you will have access to any bonus offers, regardless of their nature. Any payment method has its very own pros and cons, this seems to be the credit cards’ best feature. Are you ready to make that deposit? Are you ready to start betting? Credit card or not, deposit now! Have another look at the best top 11 Australian betting sites! Surely one of them caught your attention! Are credit cards treated differently than debit cards at bookmakers? Not quite. Both of them are bank issued cards, which is very important for the bookie. Operators that transfer the transaction fee to the punter favor these cards. The only difference between these two is that a credit card is more flexible, whereas debit cards kind of promote responsible betting, because you can't spend money you don't have. Are there any credit card deposit limits? Usually, this largely depends on your bank. That being said, the limit imposed by the bookie usually is $5,000. Both of these can be amended. Visit your local bank if you want to make hefty credit card deposits. By the way, you should also contact the customer support of the respective bookie. Do all credit cards come with Zero Liability Protection? No. You should contact your bank and see if the card you have comes with Zero Liability Protection.